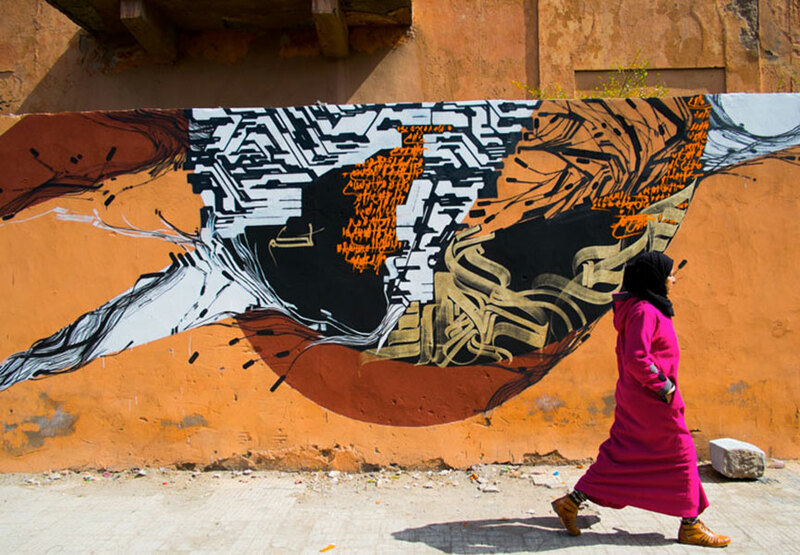 Lek, Sowat and their fellow writer Liard completed two murals in Marrakech this month; one in the Medina and second one in the new town with local artists. 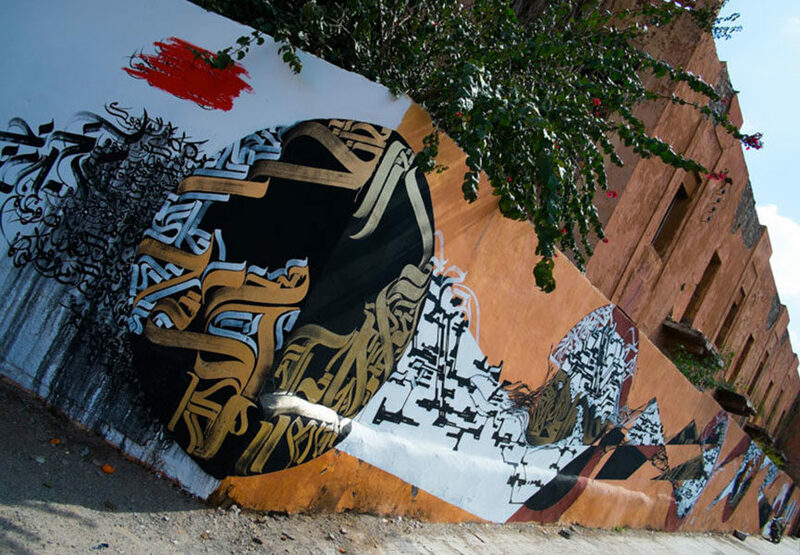 Graffiti is seen as an urban pollution, so the trio chose to confront themselves to the prestige of Moroccan ornaments, the treasures of the country’s history and its tourists’ clichés. 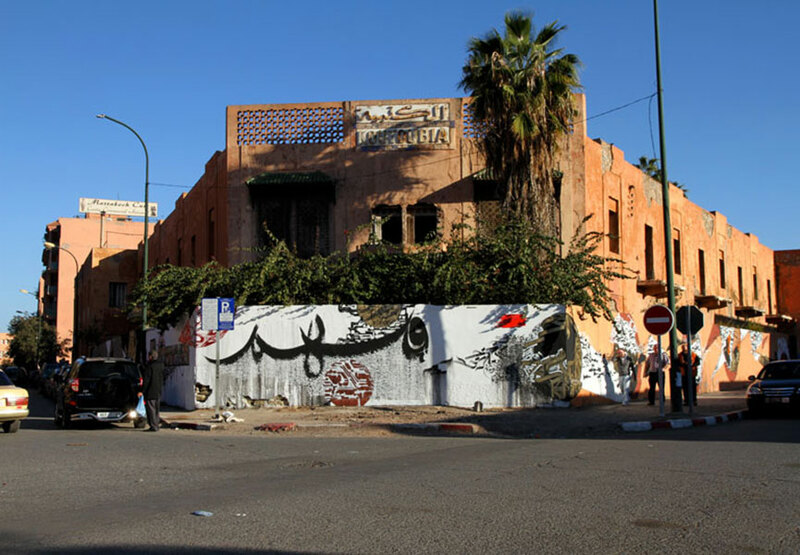 What is special about it and particularly important is that street art doesn’t exist in Morocco; therefore, this was an extraordinary moment for both the artists and people living there. What are they doing in Marrakech? Well, they were there for a three week residency organized by the David Bloch Gallery which included another important event, a show called “CONTREBANDE”. 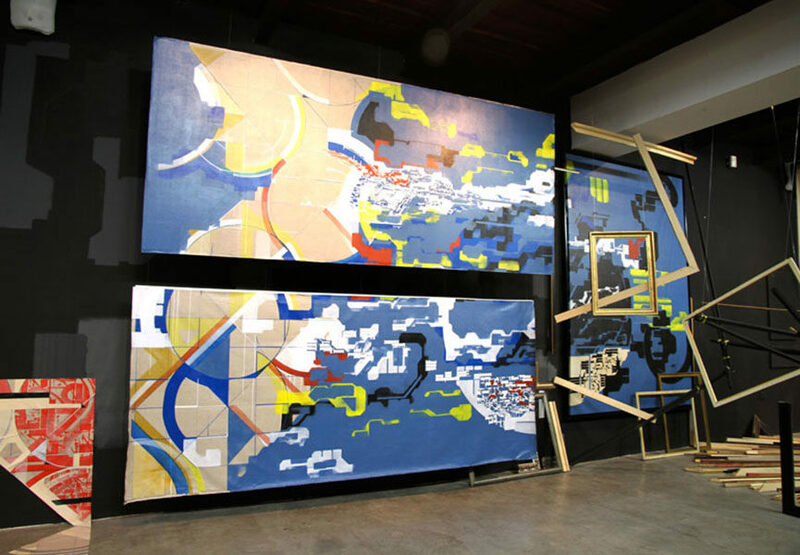 Together with the artist Arnaud Liard, they completely re-imagined the David Bloch gallery’s space during their residency in Marrakech, through canvases, wall paintings and installations. 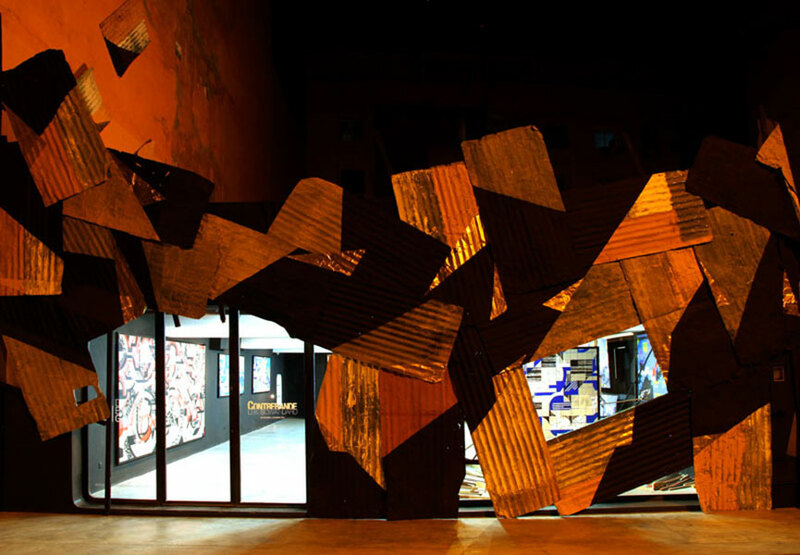 The opening took place on February 28th in the presence of the artists. The exhibition will last until March 29th. As the title itself suggests, the exhibition is centered on the notion of counterfeit. They questioned the status of an artwork by forging Morocco’s traditional patterns and ornaments while at the same time one of their canvases was copied by a local artist. 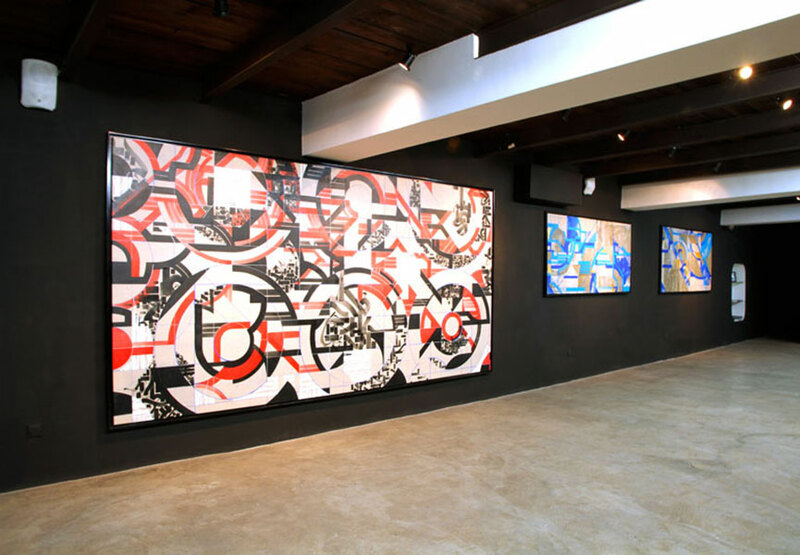 Repetition, or if you like, the art of contraband is the heart of urban art practice. Point made. Questions such as the value of signatures and the works’ preservation remain open. From the statement: Past conjugated in present tense, desecrated symbolic shapes, calligraphic abstractions, reflections and asymmetries, mathematical rigor, interlacing curves and strips against strips: acting as counterfeiters, Lek, Sowat and Arnaud Liard transcribe the grammar of art of Moroccan Islamic craftsmanship into the geometrical complexity of their deconstructed work. Functioning like large scale cropped zooms, the paintings of Lek, Sowat and Liard retain the infinite and colorful combinations of these ornaments, focusing on the process of creation, using geometrical grids used as patterns while preserving the canvas’ linens raw material. 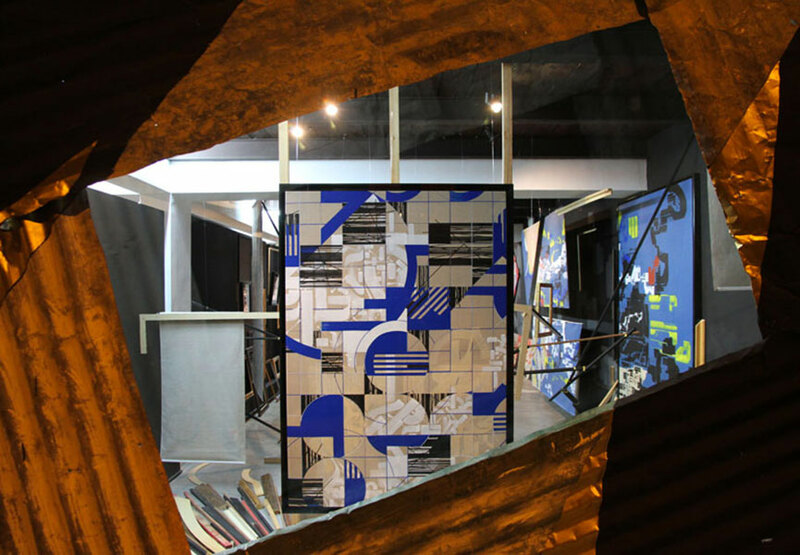 Lek and Sowat are jointly involved in the practice of Urbex, taking over places that are derelict but with a powerful history. 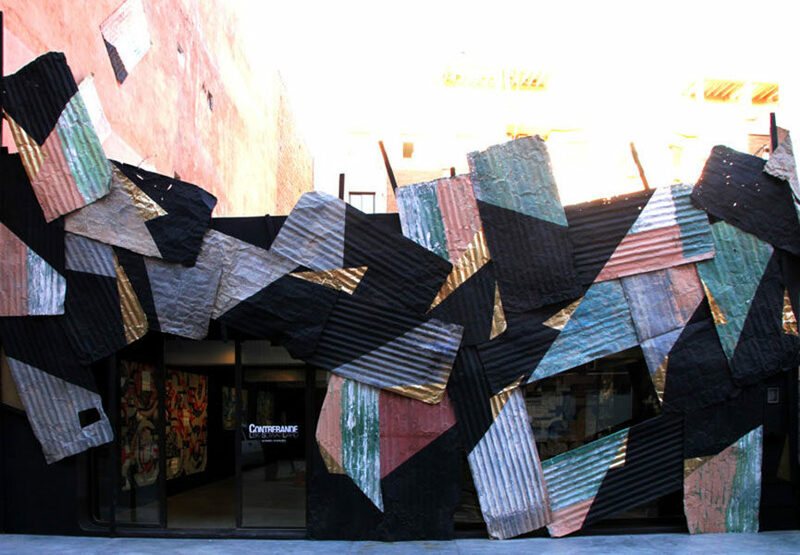 They are well-known for their large-scale works and their passion for abandoned places and calligraphy. In their large-scale frescos, the typographical motifs traditionally used in graffiti are taken toward a form of architecturally influenced abstraction. As founding member of the LCA, under the name Osean, Arnaud Liard developed his unique style along the Parisian train tracks and underground stations in the 1990s. Under his real name, Arnaud Liard paints on canvas, systematically covering their surface with cement since 2002. In his paintings, he strives to render the urban theater he lives in, staging each new frame as a street photograph. He deconstructs realistic landscapes, breaking them towards a more graphic and abstract composition. 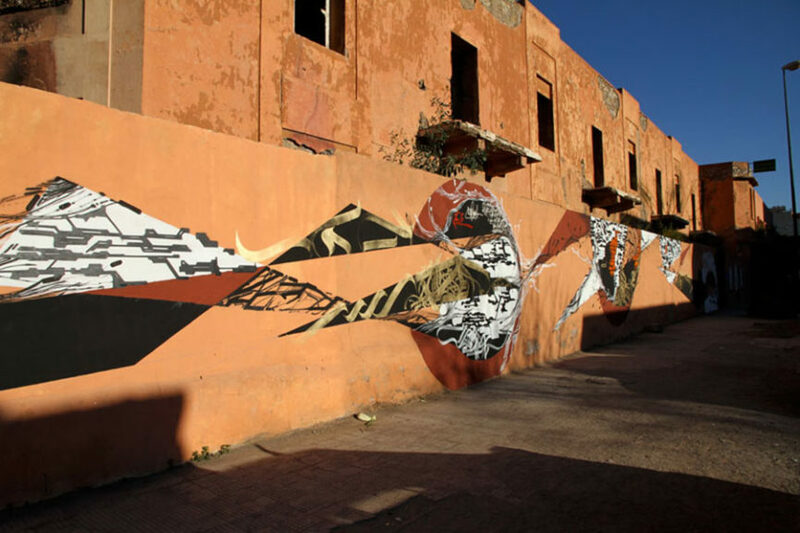 Lek x Sowat x Arnaud Liard “CONTREBANDE” @ David Bloch Gallery – Marrakech from DAVID BLOCH GALLERY on Vimeo.